I wanted to share the progress on the ‘Christmas’ jumper, as the construction is quite interesting. The back and the front are now completed. 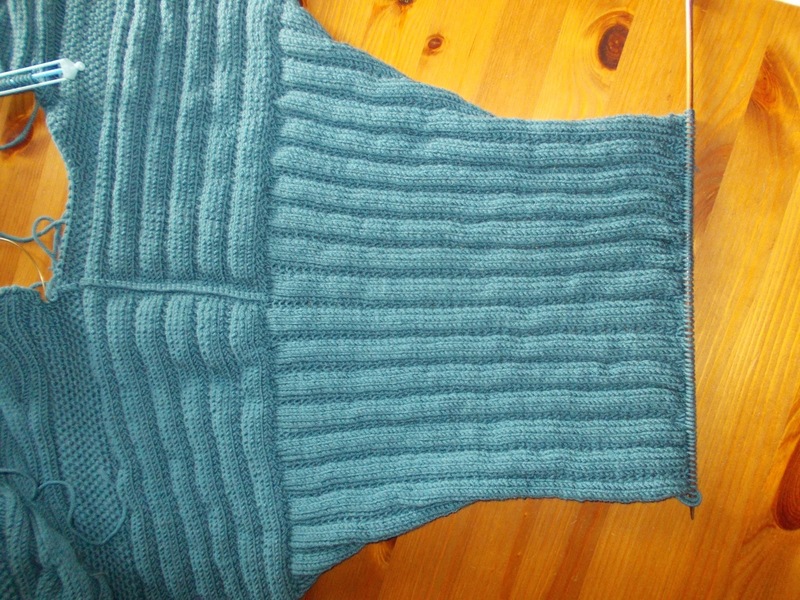 The shoulder seams are knitted together finished off on the right side. (I use this technique a lot, normally on the wrong side though. It gives a very neat finish and saves on sewing up, which is not my favourite thing.) It is a bit of a signature on Marion Foale designs. 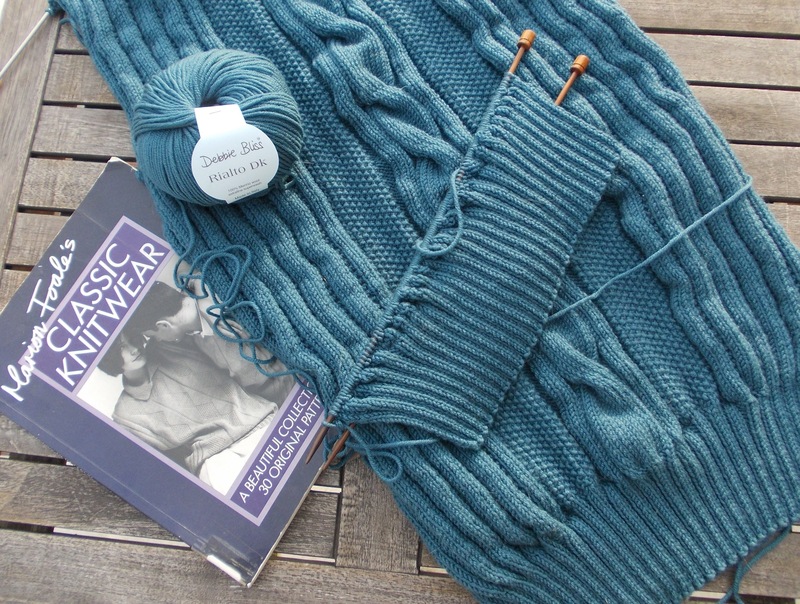 The sleeves are then knitted on to the body of the garment, by picking up the stitches all round the armhole and then decreasing to the cuff. As you will see I am only on the first sleeve. Just as well it is winter, as this is akin to knitting with a blanket over your legs! My old PC had really started to struggle to run my website. It was a dinosaur in IT terms, and I think I have been lucky that it kept going this long. After much deliberation, I have replaced it with a large laptop. Following the 17 pages of instructions on how to move all my data and install and replace the programmes was a challenge, but it is up and running well now. And completed ahead of the sale, which is in full swing. The laptop will give me flexibility to work upstairs in the office and woolstore or downstairs, which will be useful over the next month or so. But more of that in later posts.